SYNONYMS Santalum spicatum (R.Br.) A.DC., Fusanus spicatus R.Br. 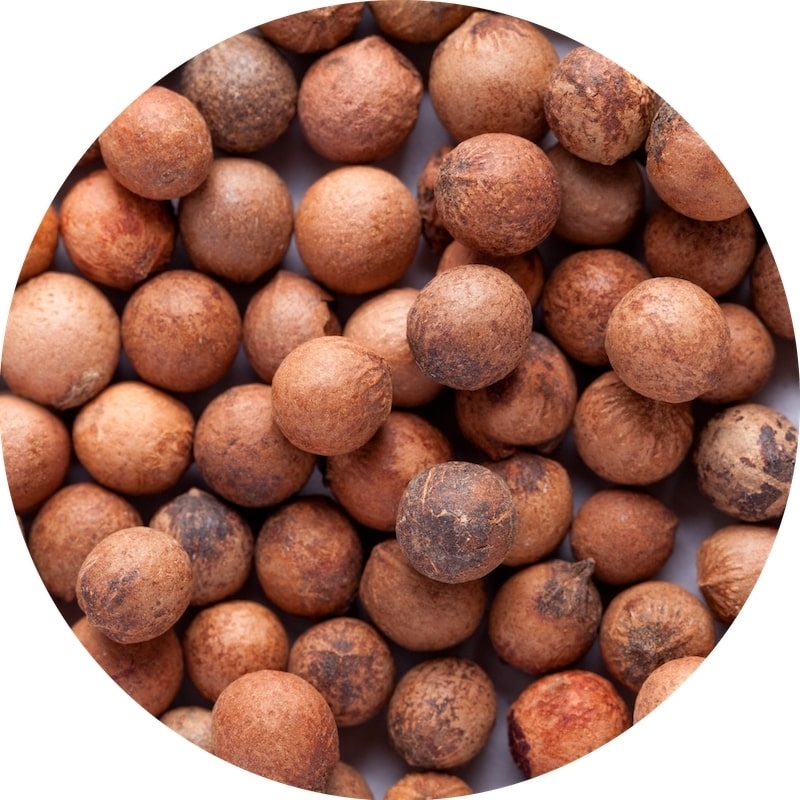 Sandalwood Seed Oil (Sandalwood Nut Oil) is a rich source of one of the rarest polyunsaturated fatty acid with a triple (acetylenic) bond, Ximenynic acid (aka santalbic acid), which is widely known for its unique anti-inflammatory properties and exceptional nourishing emollient properties. This acid has been demonstrably proven to aid in the protection of the skin by improving elasticity, reducing inflammation, while stimulating blood circulation to give the skin an overall healthier look. This golden carrier oil is a very smooth and non-sticky dry oil that is an ideal addition to a myriad of products for the hair and body, as well as for facial rejuvenation creams and serums. The aroma is faintly nutty reminiscent of sandalwood. The high abundance of Oleic Acid makes it a very appealing ingredient for use in both skin and hair care products. The nuts are harvested and then placed into a expeller machine where the oil is extracted via super critical CO2 extraction. This advanced method of extraction uses no heat and produces the premium quality oil, with nothing lost in the processing of the nut.